Here's a little something I started a couple years ago, but my inexperience got the better of me and I put it away. 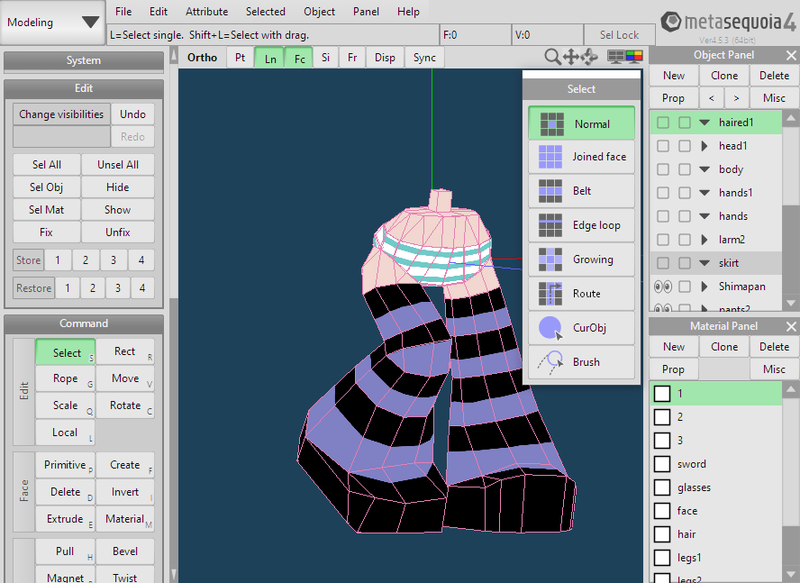 I think it's about time I finish this little endeavor. PS & G is a wacky, high speed cartoon produced by none other than Studio Gainax. 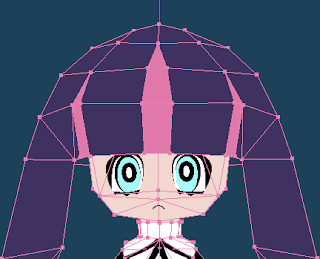 Stocking is the younger of two sisters, has a calm, collected disposition and an insatiable sweet tooth. 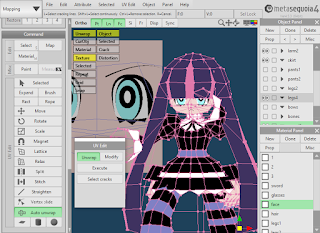 Stocking can transform her stocking into "Stripes", a pair of katana that she wields to fight off demons, ghost and evil spirits. 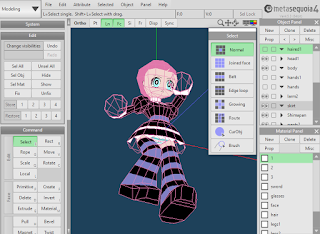 I started modeling her after searching the web for a decent papercraft version and finding very little. There were also a couple 3d models floating around, but nothing usable. I then turned to Metasequoia (2 at the time) and began fumbling around with a workable 3d model. 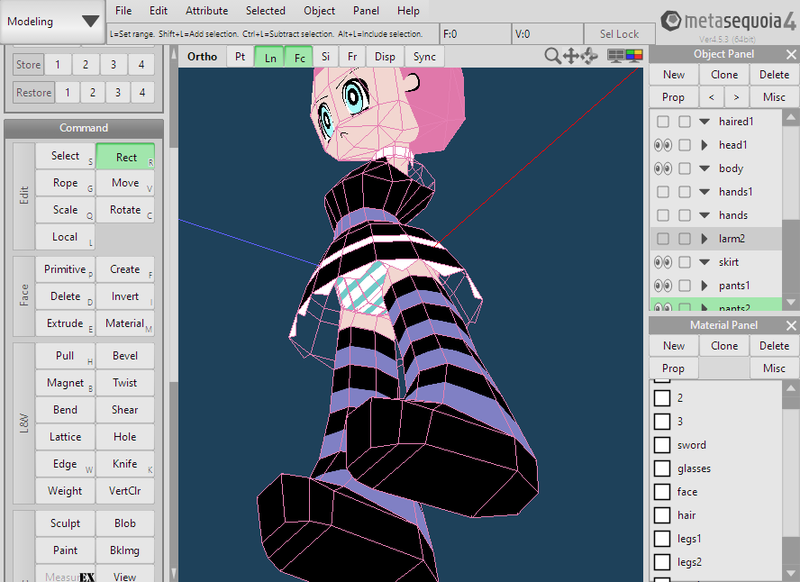 Not being very skilled, I put her away until now and with the help of the updated Metasequoia 4, I'm continuing the work. Here, I'm building off the old model and trying to remember what I was going for. I started getting the hang of it again. 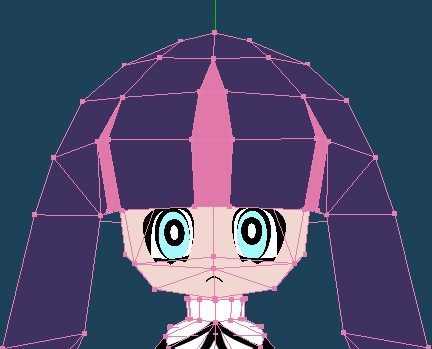 I had to remap everything because the UVs didn't translate in Meta4. 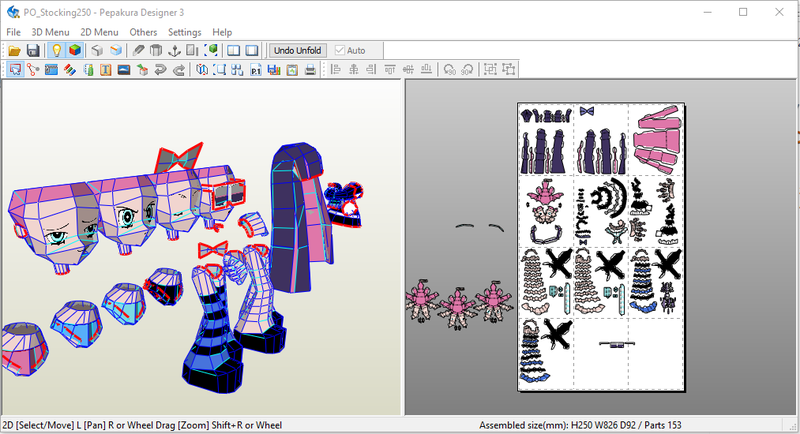 It was good practice though, Meta4 has some real good updates. I decided to change the stance to something more interesting. It's kind of boring just having Stocking standing there doing nothing. 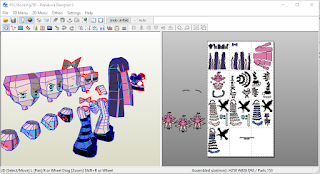 RWBY Ruby Rose Papercraft Finished!